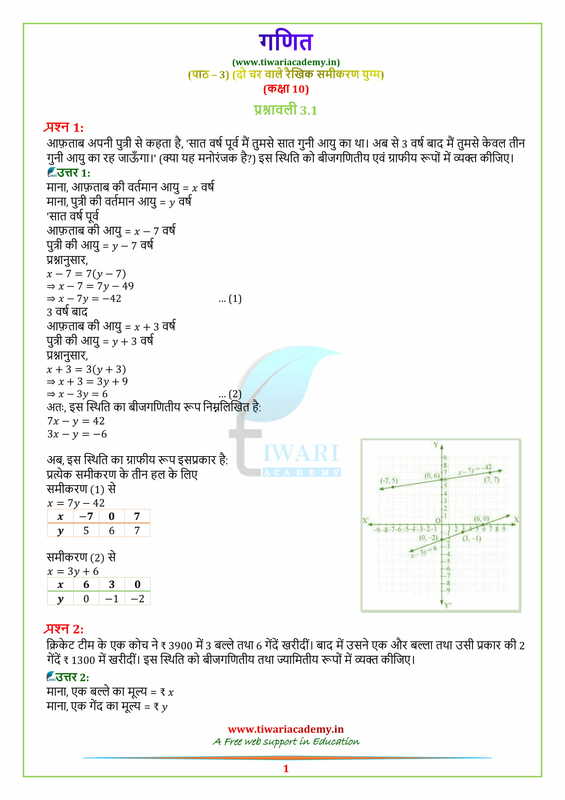 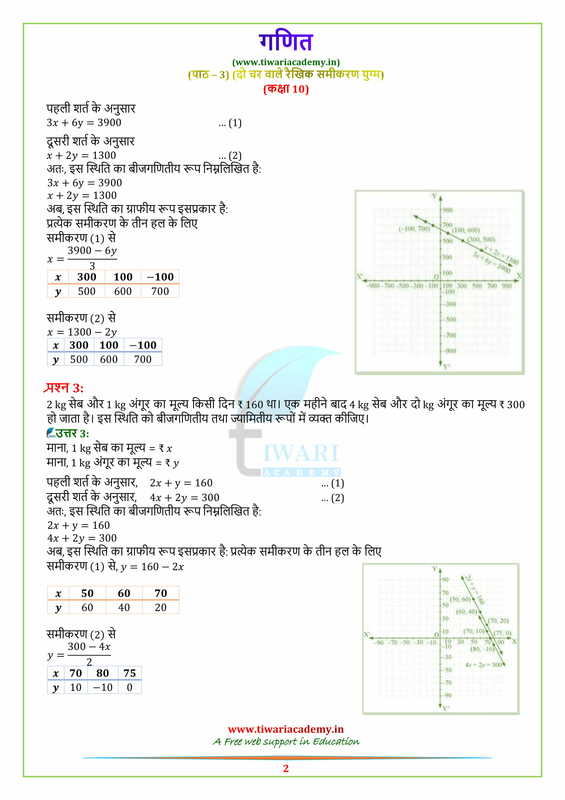 NCERT Solutions for Class 10 Maths Chapter 3 Exercise 3.1 Linear Equations in two variables in English Medium and Hindi Medium PDF form to free download. 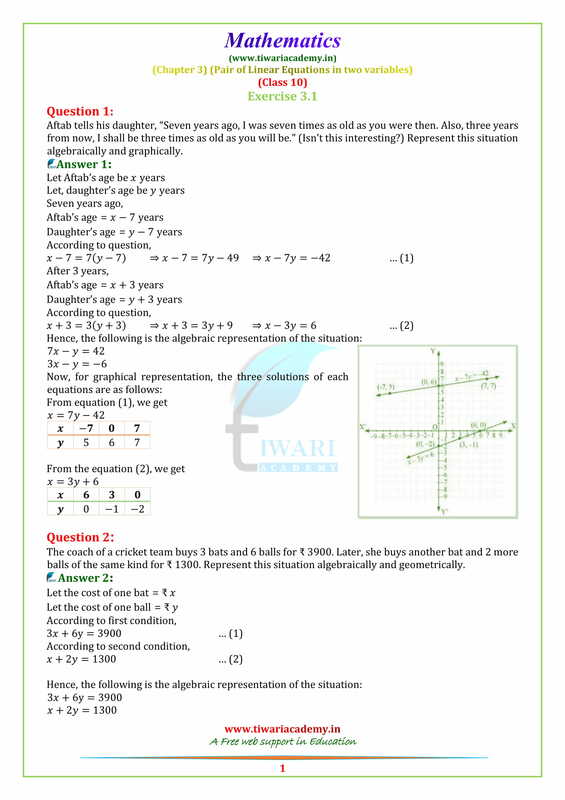 Download NCERT Books as well as NCERT Solutions for all subjects in PDF file format. 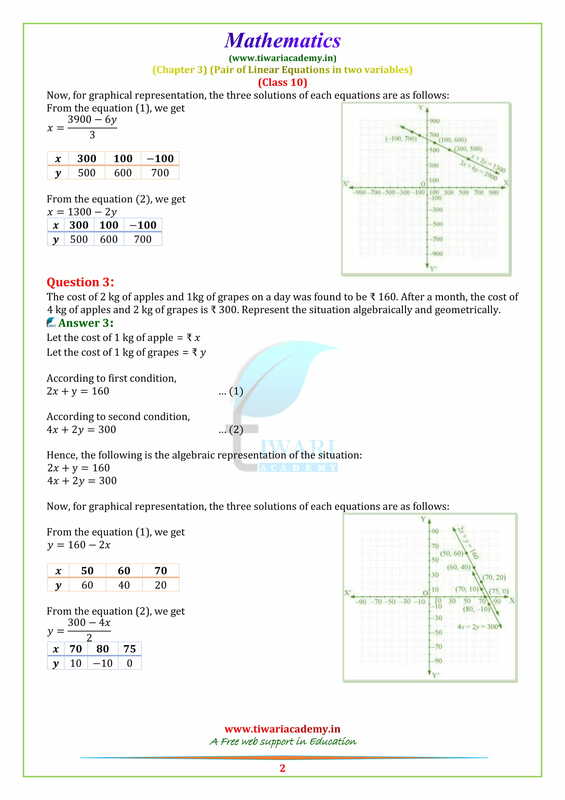 Solutions of Exercise 3.2 or Exercise 3.3 or Exercise 3.4 or Exercise 3.5 or Exercise 3.6 or Optional Exercise 3.7 are available to use it offline or view it online.